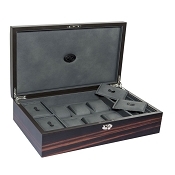 Elegant handmade wooden storage boxes in Macassar (Zebra Wood) for organizing luxury watches, cufflinks, and jewelry. 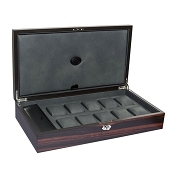 Crafted with micro-fiber lined interiors to inhibit oxidation. Buy personalized or add logo.